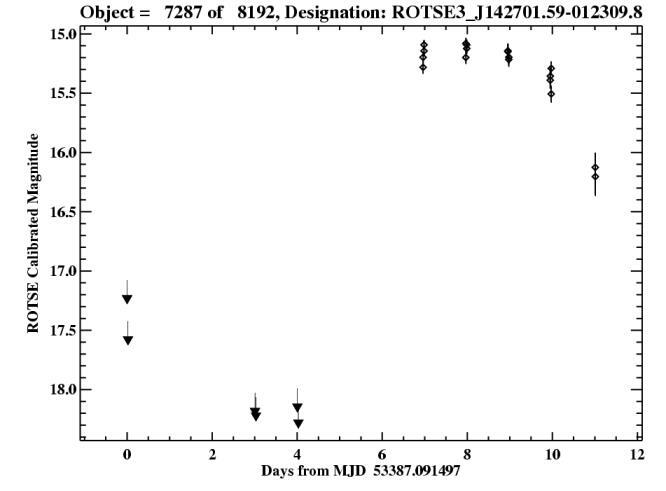 Online analysis of ROTSE-III sky patrol fields has revealed an interesting transient which has been previously designated 2QZ J142701.6-012310. 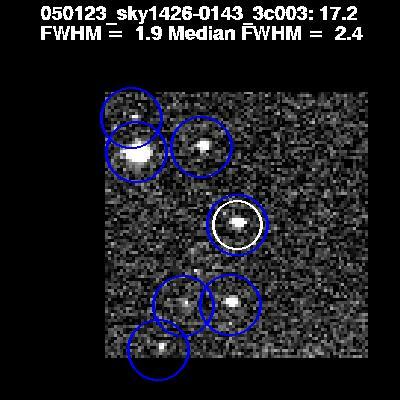 This object is below our limiting magnitude in images taken up until 21 January 2005, and has been around 15th magnitude for at least 3 days starting on 23 January 2005. 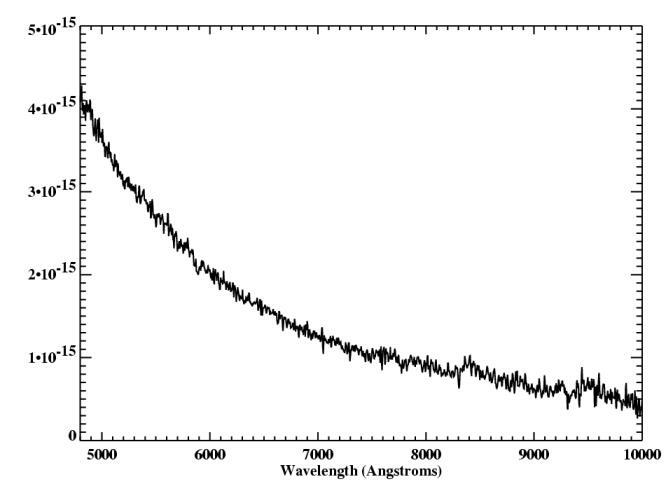 Light curve of the transient. The first detection is on 23 January, with limits around 18th magnitude on the 21st. The Sloan Digital Sky Survey location reveals a very blue counterpart at 20th magnitude. 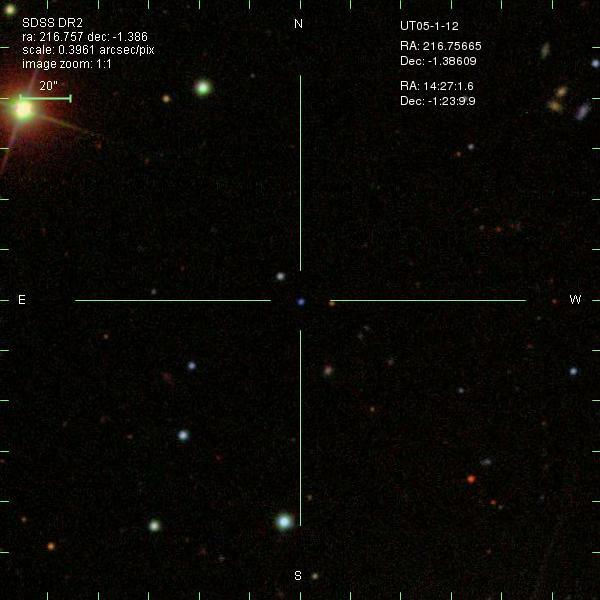 The object is very blue as can be seen in the SDSS color-color plots for the field. It should be noted that the counterpart is not resolved in the SDSS images, and is pointlike. 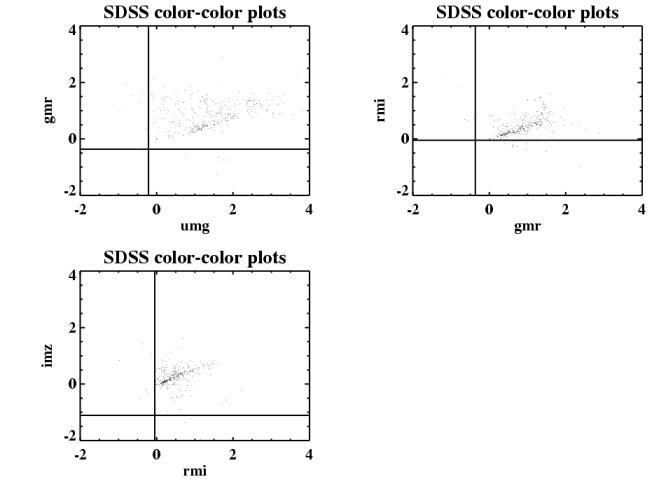 SDSS Color-Color plots of the field, with the quiescent counterpart marked with the cross-hairs. The counterpart is also listed as a possible blazar by the 2dF redshift survey, which has a spectrum taken during quiescence at some time in the past. Finally, we (Quimby, et al) got a spectrum of the blazar during outburst on the night of 25 January on the HET telescope using TOO time for follow-up to ROTSE-III transients. There is order overlap redward of 7700 AA. This is a low resolution (~16 AA) spectrum. 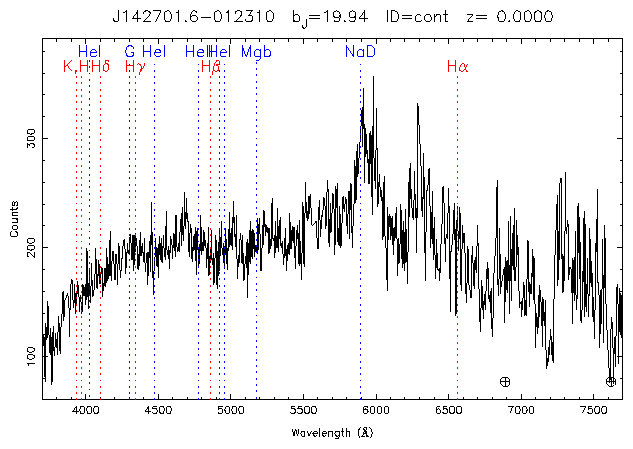 Spectrum of 2QZ J142701.6-012310 from the 2dF redshift survey. It is not clear if the lines attributed are correct. Spectrum during outburst from the HET on 25 Jan 2005. It is quite featureless. Also of note is that an X-ray light curve from the last two weeks of RXTE-ASM data shows it is x-ray quiet to a three-sigma upper limit of 6 mCrab (2-12 keV). At this time we have been unable to conclusively label this object a blazar or a CV. We have not been able to attribute a convincing redshift to the quiescent spectrum. If it is close (z\<0.2) and is a blazar, it might be an interesting target for H.E.S.S.